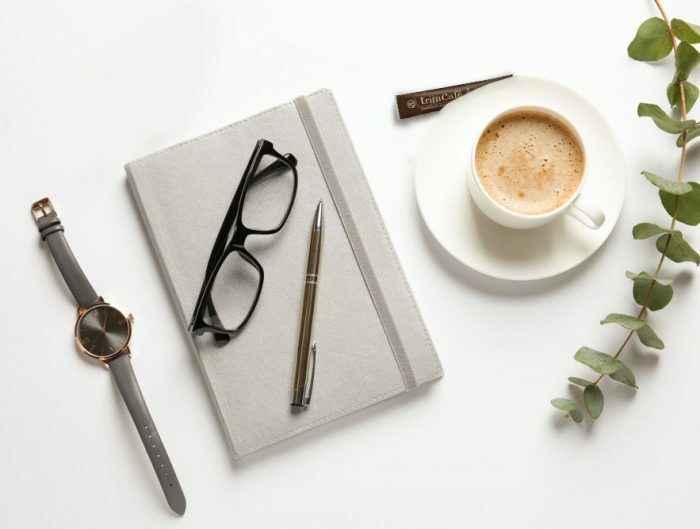 Read on to learn more about DNA Miracle newest addition to the family! 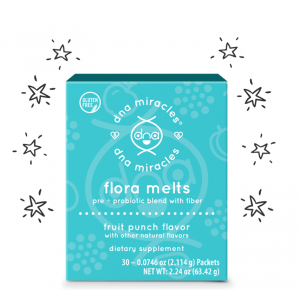 New to the line and introduced by Dr. Deedra Mason, Director of Clinical Education and Research, is the exciting DNA Miracles® Flora Melts; a delicious melt delivering the probiotic LactoSpore®± paired with one gram of fiber from a prebiotic blend for a microflora balance and strong immune support. What Makes DNA Miracles® Flora Melts Unique? 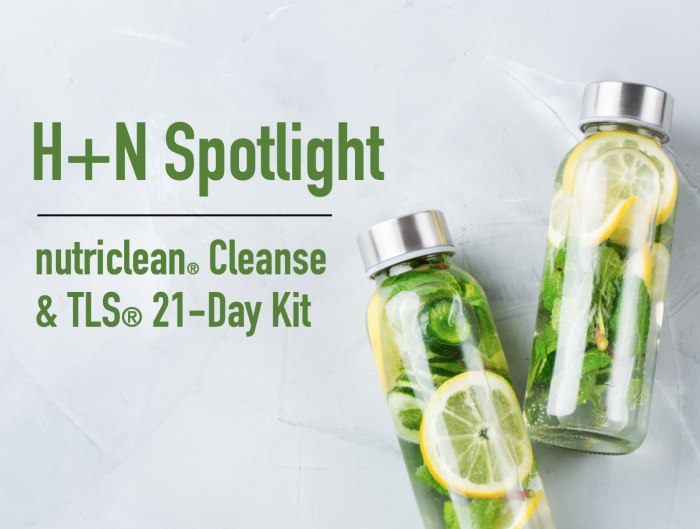 Not only is this product packed with incredible ingredients but the unique delivery system sets this apart from the rest. 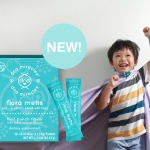 Flora Melts magically dissolve on the tongue for ages 4+, or, simply mix a whole melt stick with food or beverage. This is so important, especially as for parents who have kids who don’t like to take vitamins. 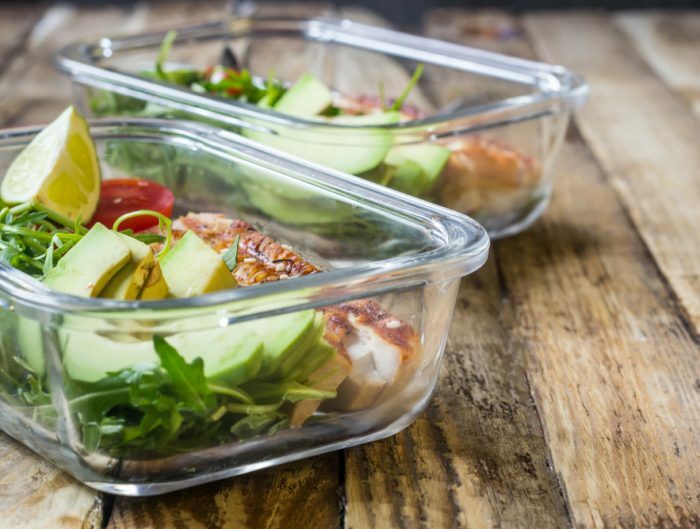 You can add one pack of Flora Melts to things like apple sauce, yogurt, cereal, oatmeal, or even on top of fruit. It will add a mild fruit flavor your little miracles won’t even notice! Because happy bellies make happy little miracles! The DNA Miracles Booth at MAWC2019 featured a tasting of Flora Melts which was so incredibly received by kids AND adults. The on stage presentation ended with a testimonial reel of kids getting to try the new product in apple sauce and apple juice, where two thumbs up gave us all the approval we needed. So many surprised reactions, turned into giggles, which turned into parents asking, “When can we buy it?” We absolutely can’t wait for everyone to enjoy this product in the comfort of their homes. DNA Miracles Flora Melts will be ready soon, so keep an eye out on social media for the announcement on dnamiracles.com! All of our DNA Miracles products are available for purchase on dnamiracles.com! Stay up to date on everything by following DNA Miracles on Facebook and Instagram. What do you think of the newest additions to the DNA Miracles Health & Nutrition Product Line? Share with us in the comments!